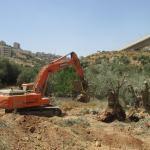 Early Monday morning, August 17, the Israeli military with its bulldozers stormed the area of Bir Uona archeological site, west of Beit Jala in Bethlehem governorate, and razed 25-30 dunums of land and uprooted about 45 olive trees, some of the hundreds of years old. 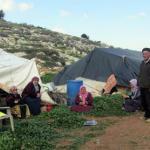 Join the Solidarity Tent set up to challenge the land destruction is perpetrated in order to continue construction of the Apartheid Wall on the land of Cremisan Valley. 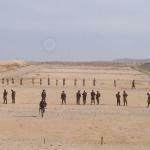 The concepts of military training alongside fertile agricultural land, to say the least, are worlds apart. 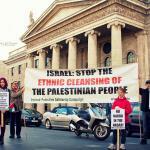 Home to thousands of Palestinians, whose existence is sustained by the fruitfulness of their land, both the crops and people of the Jordan Valley are now at the forefront of Israel's ethnic cleansing of Palestine. 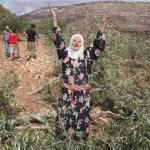 The war on crops is fast becoming one of the main tactics adopted by Israel to destroy the livelihood of many Palestinians, directly hitting their main source of income and destroying their way of life. 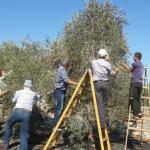 Olive Harvest 2014: The opening event of the olive harvesting in Wadi Fukin village. 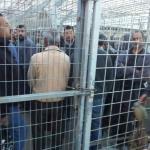 Under the surveillance of dozens of Israeli soldiers the opening event of the Olive Harvest program was in Wadi Fukin village. 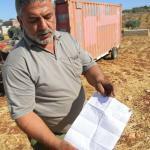 Activists from Palestine, Norway, Sweden, Spain, USA and Germany gathered in a field threatened by the nearby Israeli settlement Beitar Illit, to pick olives. 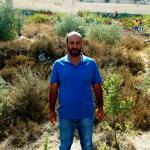 A good amount of cameras covered the harvesting, among them Palestinian press. 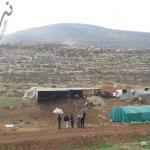 Wadi Fukin village is surrounded by three Israeli settlements Tsur Hadassah, Beitar Illit and Hadar Beitar. 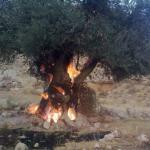 On Wednesday the 8 of October settlers torched 30 olive trees in the village of Nahalin, west off Bethlehem. 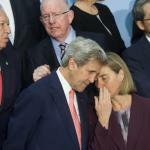 Residents from the village say that it was a group of settlers from Beitar Illit. 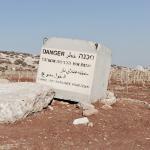 The residents say that this is not the first time, but one of several attempts to seize land for the settlements. 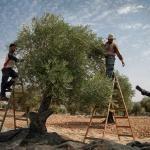 Olive Harvest 2014: Settlers cut olive trees in village between Salfit and Nablus. 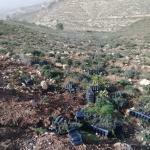 Monday 6.10: Israeli settlers cut down around 100 olive trees nearby the village of Yassouf, which is located about 7 km north of the town of Salfit. 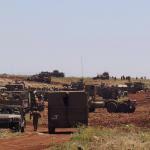 Farmers from this area have reported that settlers from Tuffah were behind. It has also been reported about vandalism in Burin and in Awarta. 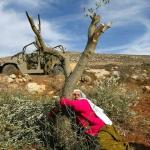 Since the Israeli occupation of the West bank in 1967, more than 800 000 olive trees have been destroyed by Israeli forces or settlers, according to human rights organizations. 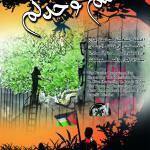 The Land Defense Coalition, a coordinating body of grassroots movements and organizations, announces the program of collective efforts to safeguard the annual olive harvest and are calling on volunteers to stand in solidarity with Palestinian communities and join in the harvest on October 10 until October 25, 2014. This morning, occupation forces began a series of demolitions in Abu Ajaj camp in Jeftlek east of Jericho, on the pretext of being very close to "Ntsuwah" settlement that was built on citizens' lands. 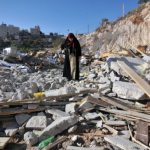 The Stop the Wall campaign said that demolitions targeted 6 houses, and 12 sheep barracks which has an area of ​​more than 1,000 meters belonging to four brothers Adnan, Omran, Omar, and Ahd Daees.